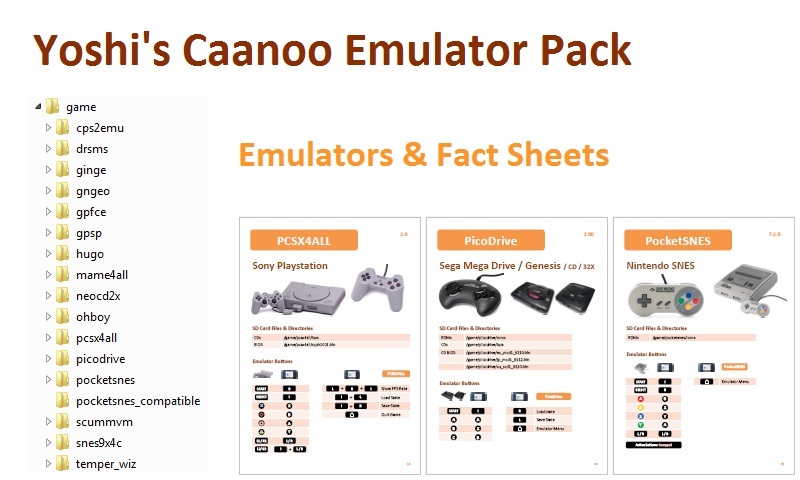 Thanks to all authors of the emulators for their hard work. Thanks to tryone and the contributors of the skin pack. Wow!!!! Great , thank you !!!! Very good, first the Caanoo Starter Pack, now this, brilliant. Well done Yoshi, but please include the betas for UAE4all and Frodo for the next release. btw Outcast for GP2 works as well via Ginge. Excellent stuff,guide is very helpful,thanks alot.